For additional Bear publications and reports click here. Desert Bighorn Sheep | Rocky Mountain Bighorn Sheep page. For additional Bighorn Sheep publications and reports click here. The Department is seeking information about possible ferret sightings in New Mexico. Click the document below for information on how to identify a black-footed ferret and who to contact if you see one. For additional Cougar publications and reports click here. 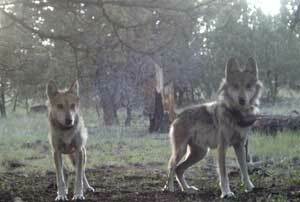 Mexican Gray Wolves in the Gila National Forest. 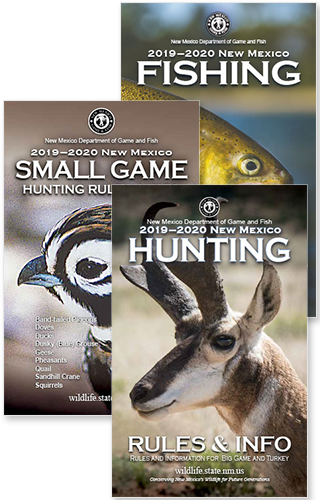 The New Mexico State Game Commission has approved plans to restore River Otter. This document is a Feasibility Study to assess the potential for the restoration of the River Otter in one or more river reaches in New Mexico. Elk Interactive Information Program (Not currently available).